Climate Change for Football Fans - a review. Being a complete novice on the finer arts of football (or soccer to our North American readers) I approached James Atkins’ book, Climate Change for Football Fans, with some trepidation. More so when I saw the précis: “This is a book about climate change policy, which is one of the most boring topics in the world. So it includes stuff about football, which is one of the most exciting topics in the world.”! Well it turns out that even a football-illiterate like me can gain a great deal from this quirky, irreverent, funny and thought-provoking book. Clearly written from a position of deep understanding of the subject of climate change policy – and presumably equally so of football, although I am not such a good judge here – this book delivers an insightful analysis of the emissions reduction predicament we face. The juxtaposition of football and climate change works surprisingly well. The struggle of Burnley Football Club to remain in the top division of English football is a metaphor for humanity’s struggle to reduce emissions. Atkins argues that a key part of the solution to climate change is to develop the same passion, loyalty and emotional attachment towards nature that the Burnley Fans give their club. All children should receive an intense exposure to the natural world when they are young: “children must emotionally feel the spiritual bond with nature and also understand how their actions affect nature and we depend on it”. Just as a deep, tribal, visceral, unquestioning loyalty to a football team is developed from the cradle, so too must our relationship with the environment – this is not an intellectual topic but a spiritual one. A shocking scene in the book has Professor Igor, the advocate for climate change action, throttling a pet dog in order to evince from its sceptical owner, Frank, this passion for life. “You can’t persuade people with reason alone; you need to get them in the gut too”. From the outset the focus of the book is on people not technology. “Climate change is as much about power stations as football is about wearing shorts”. The key issue is not the smokestacks but the demand for goods and services which drives the emissions in the first place. The blame for climate change is put fair-and-square at all our feet. Our psychological need for fulfilment is exploited by advertisers who create unhappiness in order to sell the myth that “things” can fill the void. Our genes and physiology make us selfish, brutish and cause us to over-consume when surrounded by plenty. We are physically unable to perceive the damage we are doing to nature – we cannot smell the accumulating CO2 or intellectually link distant disaster to our own survival. We are consistently good at responding to short-term threats but very bad when it comes to long-term ones. Thus spending £50,000 on a Sports Utility Vehicle is preferable to spending £50,000 on insulating our homes – despite the latter being essential to our survival. The core issue in climate change is our weakness. Nor can we depend on our culture to help us compensate for this weakness. In our democracies we do not take harsh measures to tax electricity, to jail advertisers for promoting energy intensive goods, nor do we invade countries that threaten us as a result of their energy policy, or interfere with free markets although they clearly damage our environment. We are reluctant to deprive people of any of the benefits of “civilisation” because, according to Atkins, that “we can no longer distinguish between compassion and indulgence”. The values of liberty, justice, peace, equality and dignity at the core of our western cultures “often stand in direct conflict with the need to act firmly on cutting greenhouse gas emissions”. This is strong stuff for the liberal-minded people who tend to dominate the conversation around climate change. Not only are we personally confronted with our own culpability for climate change but our core convictions are presented as impediments to change. Cue the loud sound of sacred cows being led to slaughter. Bluntness is a real strength of this book. The language is gritty and down-to earth with the occasional expletive adding emphasis and colour. The points emerge from a dialog between Professor Igor, our climate change expert, and Joe, a Burnley lad who promises to learn all there is to know about climate change as long as the Professor agrees to follow Joe’s adored Burnley United team, “The Clarets”, for one season. Thus the ups and downs of the team, their successes and failures at home and away form the backdrop for a wide-ranging exploration of climate policy. Over some 70 short chapters – some only a page or two – we are exposed to a variety of vivid, almost cartoon, characters which whom the Professor converses in order to sheds light on one or other aspect of the complicated story of climate change policy. Do not expect politically correctness or depth from the characterisations – women are referred to as “birds” and just about every overused working class stereotype is touched upon at least once. The characters are there to act as a mirror on our own attitudes – to serve as a foil for the Professor – not as an insight into a particular demographic. This is not a work of literature. The Cast of “Climate Change for Football Fans” are meant to represent man-or-woman in the Burnley street. Their purpose is to enable Professor Igor, second row on the left, to confront our preconceptions, failings and prejudices about climate change and to learn about football too. Image ©David Mostyn, reproduced by kind permission of James Atkins and UIT Cambridge. The overall result is refreshing and accessible and light-years away from many of the other “popular” publications on climate change. Dialog, albeit sometimes contrived, allows for a much richer exploration of a topic – the interchange of questions and answers is natural and effective. Plenty of similes and examples illuminate the arguments. Thankfully there is almost no jargon at all – a remarkable accomplishment in this field. Through these short chapters dominated by conversation between the characters, some very challenging ideas are presented. For example we can forget the whole vision thing: “Vision kills. It distracts you from doing things now. Vision is for bureaucrats. For dreamers.” We are reminded that the great Alex Ferguson, Manager of the top football club Manchester United “doesn’t dream about glory or records. He just focuses doggedly on the next game” and the same is need if plucky Burnley Football Club are to succeed in their desperate attempt to stay in the top league. So too for humanity’s efforts on climate change. We need to act now and with every means at our disposal to reduce our emissions. We are left in no doubt of the challenge this involved – our target is to go from 42kg CO2 emissions a day per person to just 3kg a day. Talk of vision and future action are distractions from this urgent, desperate effort. This recurring theme of urgency is reminiscent of Paul Gidding’s The Climate Wars, another popular book on climate change reviewed on this site. The attempts of the UNFCCC to achieve a global emissions reduction agreement post-Kyoto are also dismissed as another useless distraction from action. “Over 70% of the world’s emissions are caused by six countries or regions – USA, China, the EU, India, Japan and Russia. Why make the process impossible by involving Togo and Laos?” Chapter 25 provides a hilarious transcript of one of the negotiation sessions – whether it is real or not I am unsure, but it sure as heck is funny! The message is clear – this is a dead end. Similarly “The Great White Hope” of CCS is dismissed in simple terms -“The difference between Carlos Tevez (a world-class footballer) and Carbon Capture and Storage is that Carlos Tevez has been scoring goals for years at the highest level. Carbon Capture and Storage doesn’t even work yet”. Although this may work in the future it should not distract us from setting about refurbishing all 22 million homes in Britain so that they retain their heat. James Atkins is equally scathing of the targets that are set for emission reductions. 80% by 2050 is meaningless, he argues, the only thing that matters is the absolute amount of CO2 we can put into the atmosphere to avoid warming greater than 2oC – 750 billion tons between 2000 and 2050, of which we have already used up 300 billion tons by 2009. Reality lies in the shape of the graph as shown below – we are on track to use up this 750bn ton budget by 2020. We really are drinking in the last chance saloon. 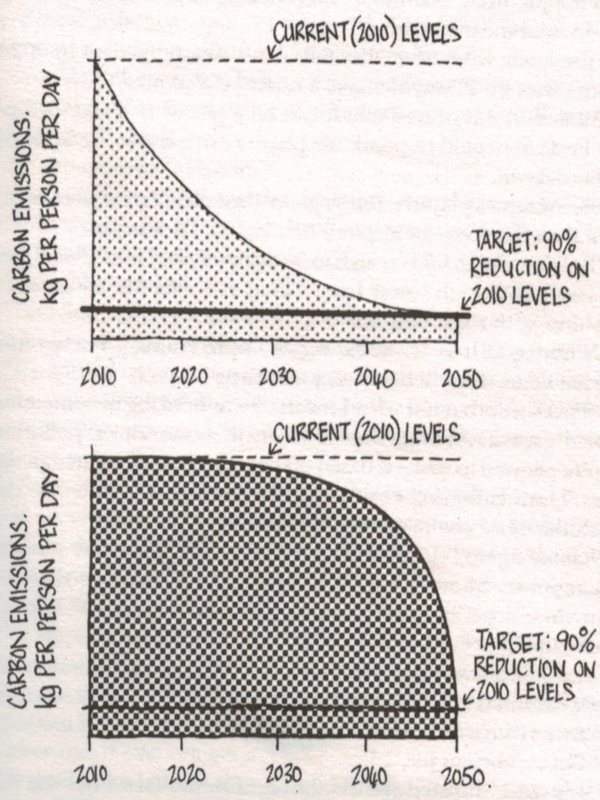 Long-term targets like “a 90% reduction by 2050” are meaningless. In the first example above total UK emissions are 15 billion tonnes of CO2, whereas the bottom trajectory leads to emissions of 40 billion tonnes, far more than is safe. Image ©David Mostyn, reproduced by kind permission of James Atkins and UIT Cambridge. Carbon Markets are doomed to fail because they only incentivise the lowest cost emissions reductions at any time: “A coal -fired power plant would be ready to pay no more than, say 15 Euros per ton of emissions. Anything more than that, it makes more sense to switch over to gas. A cement manufacturer may be able to pay up to 50 Euros for emissions. A car driver would be ready to pay the equivalent of a couple hundred Euro per ton of emissions, before he decides to take the bus”. The flaw is that the markets provide only one price for emissions reduction at a time whereas “if you are in a big hurry to cut emissions, then you need all hands to the pump. You need everyone to want to cut their emissions. A single price won’t do that.” As for the notion of a “cap” on emissions delivering the absolute reductions required, James Atkins is scathing about the failure of European politicians in the face of special interest group lobbying to set meaningful quotas. With several episodes of over-allocation the “cap and trade” model is currently looking decidedly compromised as an effective tool to drive emissions down. In places the uncompromising narrative and criticism of existing effort may give the impression of “shock-jock” journalism, consistently critical of established ideas, with black-and-white portrayals of complex issues, and the omission of nuance in favour of the “sound-bite”. This is clearly a risk for all works of “popular science” that seek to demystify a complex subject especially one which so clearly succeeds in communicating with the “average” football fan. What saves this book from sensationalism is the obvious knowledge, humanity and passion that James Atkins exhibits. His eloquent portrayal of Amazonian Indian’s relationships with nature as a prototype for a new way of living is touching. Shock is there because the challenge is real and scary – and because people need to understand that so that they can be spurred into action. It isn’t gratuitous but it is graphic. By not sparing our sensibilities James Atkins is treating us as adults and asking us to think deeply about our own role in the solution to this problem. While we may not agree with the politics, and chafe at the over-simplified conclusions, we sure as heck are challenged to think. Humanity is the answer, not technology. In simple terms, we will beat climate change if we can harness the same passions that we feel about football to the cause of emissions reductions. If living without emission becomes our duty or the yardstick by which we – and celebrities – are judged then dozy politicians and media will follow and vested interests will be forced to change or whither. The initial impetus must be our own passion and belief that we can change things. Just as Burnley United fans never accept defeat however dire their situation, James Atkins tells us all that solving climate change is really simple – if we exhibit the same passion we have for our club there will be no stopping us. I have only scratched the surface of the ideas that this book conveys. Once you get into its style you will find yourself entertained, challenged and enlightened. Simplification is one of the areas that many of us involved in providing advice on climate change issues struggle with and Climate Change for Football Fans provides a master-class in conveying some of the issues clearly and effectively. And don’t be misled by the title – there are some important ideas here. This is an ideal book to be read in a Book Club because the short and succinct chapters are grouped naturally into broader themes, and the arguments set out by the protagonists are a great stimulus for a group discussion. I would highly recommend this book as an original, thought-provoking and illuminating antidote to the conventional climate change fare. Excellently distils some of the key issues in Climate Change in a way that I could apply in communicating the topic to non-experts. Not as strong in terms of solutions so less relevant to design of resource efficiency programs. Some topics lack nuance - unavoidable given the aims of the book. This is an up to date analysis covering many key issues. Football content makes it a little less relevant to US audiences but frankly the key messages are equally applicable there. Hugely readable. Funny. Rude. Bite-sized chapters and jargon-free. Some readers might be put off by the stereotypic, patronising and sexist portrayal of the characters and some of the contrived dialog - it is not a work of literature or political correctness. An ideal title for a Book Club. £8.99 on Amazon. Can't grumble with the price!. A thought-provoking and refreshing change from the usual climate change fare. 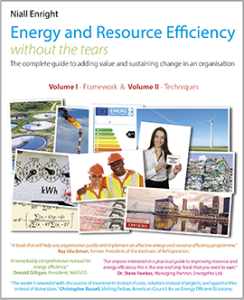 KEY Usefulness: how will this book support a resource efficiency practitioner? Does the book give real-world examples and tools? 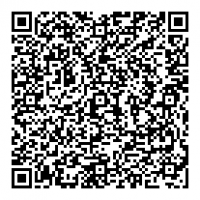 Are reference to other sources of information well documented. Is it an objective and credible source? Relevance: how widely applicable is this book in delivering practical resource efficiency? Is it only for a narrow niche or are the concepts widely applicable? Are there good, contemporary examples of best practice? Accessibility: how well written and structured is the book? Is there an assumption about prior knowledge? Value for money: Taking into account the other parameters is this book a good investment? Overall: The average of the previous ratings. IMHO= in my humble opinion. Please post a response to the review if you feel I have got this wrong!